With the impending release of the band’s new EP, Infinite Spectre, Brooklyn industrial act Statiqbloom has revealed a new music video for the track “Thin Hidden Hand” via Revolver. Created and shot in the underground tunnels of her native New York City by filmmaker, artist, and photographer Katrin Albert, the video represents the director’s “take on disorienting paranoia” to capture a desolate and oppressive vision of the city’s underworld. She continues, “It felt like it was 10 below zero while we filmed the walking scenes around Brooklyn. Albert also contributed to the album artwork and band photography. Infinite Spectre, the new EP from Statiqbloom is now available for pre-order via Translation Loss Records in CD and vinyl formats, with a release date scheduled for July 27. 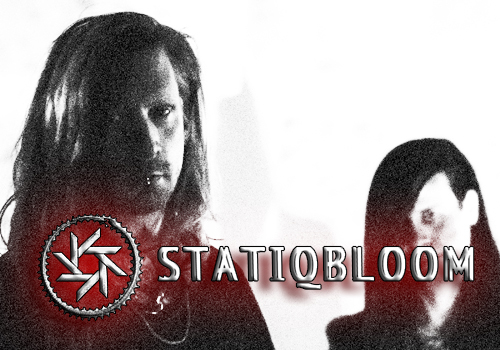 In addition, the band is scheduled to perform at several festivals, including ColdWaves, Terminus, Days of Darkness, and Novo Industrial Festival; a full listing of Statiqbloom’s live dates can be found on the band’s website.